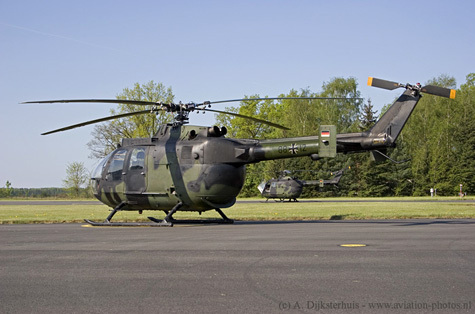 The German army (HEER) has two flying units based at Heeresflugplatz Celle: the Heeresfliegerwaffenschule (HFlgWaS AusbZ C) and Heeresfliegerverbindungs-/aufklärungsstaffel 100 (HFlgVbdg/AufklStff 100). The airfield is located north of Hannover. 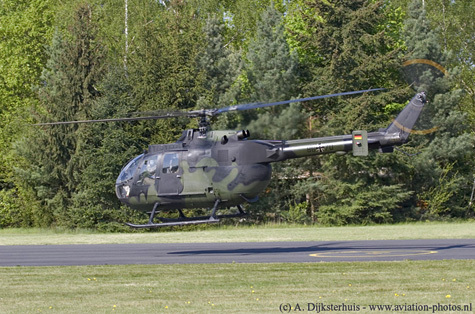 Both units operate the Bo-105P1 helicopters, while the 'Heeresfliegerwaffenschule Ausbildungszentrum C' also operates the 'good old' UH-1D. The Heeresflieger-waffenschule is also based at Bückeburg where they fly with the EC-135 and CH-53 helicopters. 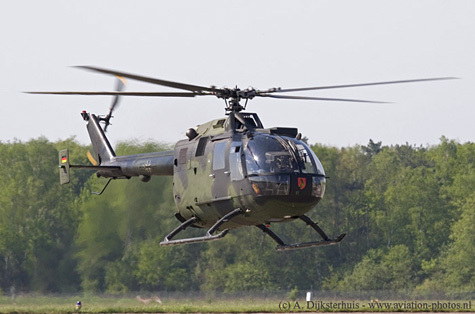 Heeresfliegerinstandsetzungsstaffel 100 (HFlgInstStff 100) is an independent unit that is responsible for the maintenance of the Bo-105 helicopters. Test flights are also executed by this unit. I would like to thank the German Army and our guide Hauptmann Felgendreher for the pleasant visit that was made on 10 may 2006. Another Bo-105P1 that was parked outside was this example, serial 86+36. Several other Bo-105's were parked in the hangar in the background. Bo-105P1 (serial 86+56) is seen here hovering around the tarmac waiting for the other helicopters that are departing for their training mission. The badge of the Heeresfliegerwaffenschule is clearly visible. Only one UH-1D of the 'HFlgWaS AusbZ C' could be seen on the flight line. The 72+13 is seen here while the crew prepares the upcoming flight. 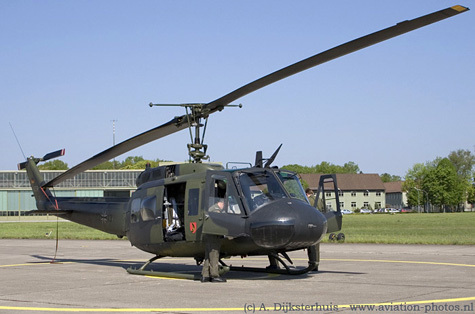 The UH-1D helicopters from the Heeresfliegerwaffenschule were based at Bückeburg and moved to Celle last year. The EC-135 and CH-53 helicopters from the school are still based at Bückeburg. 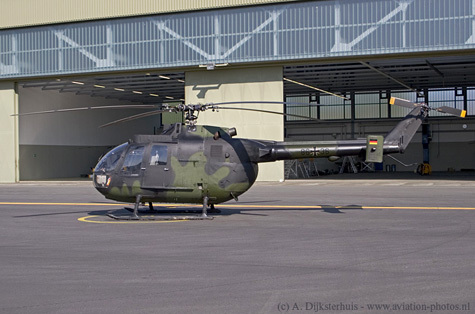 Heeresfliegerinstandsetzungsstaffel 100 (HFlgInstStff 100) is an independent unit that is responsible for the maintenance of the Bo-105 helicopters. Test flights are also executed by this unit. 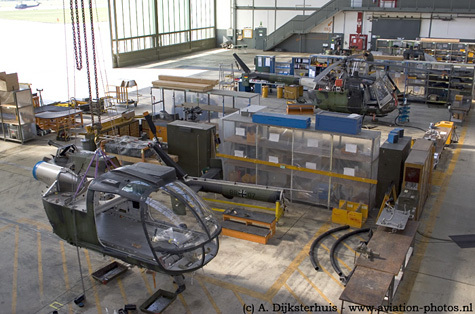 Three Bo-105P1's (86+53, 86+59 and the 88+07) are seen here in different stages of maintenance. Note the UH-1D flight line in the upper left corner.